North Dakota sunset from March 20, 2014, near the Crystal Springs exit on I-94. I’m currently blogging from downtown Bozeman, Montana, after Molly and I hit up Chico Hot Springs (click here for a history of Chico Hot Springs) last night and earlier today, visiting her uncle in Livingston, and a scattering of her family in Paradise Valley. While at Chico we relaxed, and reflected on how Molly’s late father, Harley, loved this place. Harley grew up in Livingston, and Molly explained how her dad used to love taking summer time dips in the Yellowstone River throughout his entire life. Of that Yellowstone, yes: the mountain runoff feeds it direct. This water meets up with the upper Missouri River near the Montana-North Dakota border. For the long hydrology of it all, this water eventually empties into the Mississippi near St. Louis, and then it runs to the Gulf of Mexico. It’s nice to catch it fresh up here in the glorious Rockies, though. 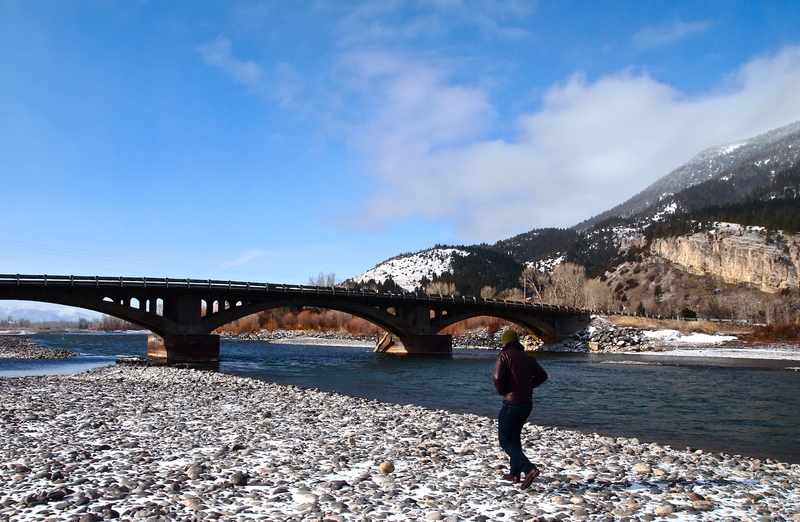 A short walk along the Yellowstone River in Paradise Valley, just south of Livingston, Montana. Here are a couple photos from when we left Fargo up to Bozeman. 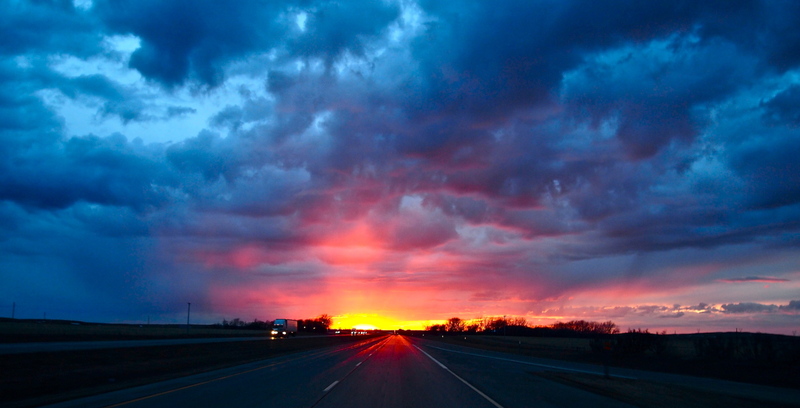 The above photo is the evening sky from March 20, 2014, around the Crystal Springs exit on I-94 in North Dakota. What the photo didn’t catch (or what we just observed rather than photographing) was the sun reflecting off the aqua blue of the melting ponds (kind of like a light turquoise, and highly reflective from the couple inches of water on the surface of the ice). 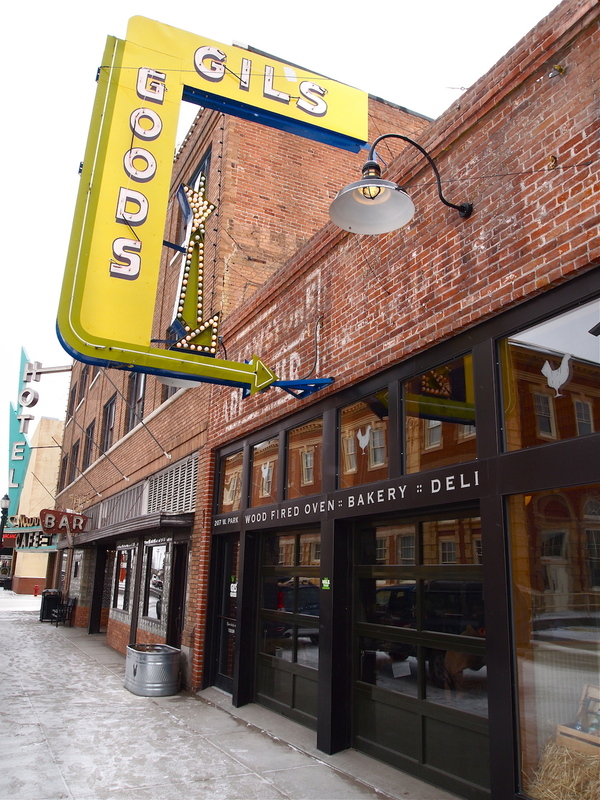 Gil’s Goods in downtown Livingston, Montana. The middle photo is the Yellowstone River from earlier this morning, and the final is from downtown Livingston, Montana. If you visit Livingston, go to Gil’s Goods for food. It is good at Gil’s. I think tonight we’ll try to track down one more hot springs dip, this at the Bozeman Hot Springs. Yes: make a vacation out of the hot springs scattered throughout our glorious American West. It is good for the muscles and spirit.